There were others involved that were aware of Katherine’s past and did not inform Henry before their marriage. Today we look at those who knew and those who lost their heads…and then some. This is the end of their story. 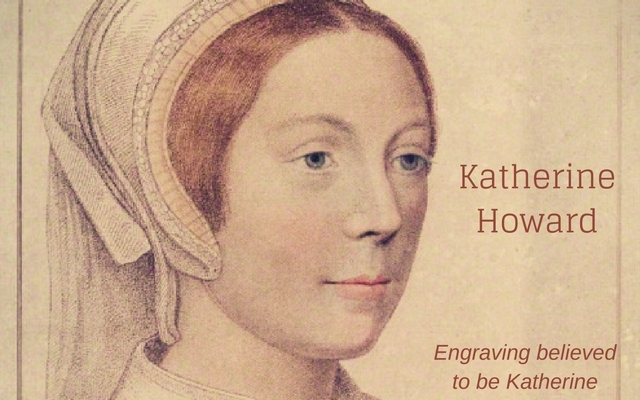 Edward Hall described the events around Katherine Howard at the end of 1541 until her death in February 1542. 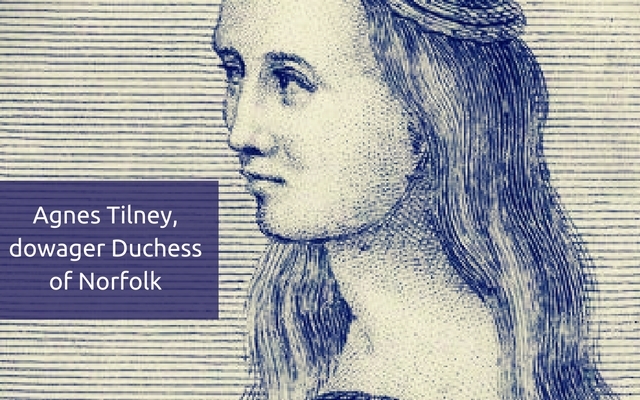 He describes how at the time Queen Katherine Howard was accused of “dissolute living, before her marriage, with Francis Dereham.” He also states it was common knowledge to many close to the King. *The main quotes in this article are taken from Hall’s Chronicles, unless otherwise noted. And since her marriage, she was vehemently suspected with Thomas Culpeper, which was brought to her chamber at Lincoln, in August last, in the progress time, by the Lady of Rochford, and were there together alone from eleven o’clock at night, til four o’clock in the morning, and to him she gave a chain and a rich cap. Upon this the king removed to London and she was sent to Sion, and there kept close, but yet served as Queen. While living with the dowager Duchess of Norfolk, Agnes Tilney, Katherine and Francis Dereham were known to address one another as husband and wife. Dereham’s rival, Henry Manox was still in the dowager Duchess’s household and grew jealous and furious of the relationship between Katherine and Dereham, and sent an anonymous note to the dowager Duchess informing her of their relationship. After reading the note the dowager Duchess caught the lovebirds together and was furious. Dereham departed shortly after to Ireland with an understanding that he would wed Katherine when he returned to England. Little did he know that by then everything would have changed. While Francis was in Ireland Katherine Howard moved closer to court staying at her uncle’s house (Duke of Norfolk). This is when she met Thomas Culpeper. Thomas was a gentleman of the King’s privy chamber and he was also a distant cousin to Katherine’s through her Mother, Joyce/Jocasta Culpeper. His position in court was considered very important since it allowed him personal access to the king. Katherine fell deeply in love with Thomas. 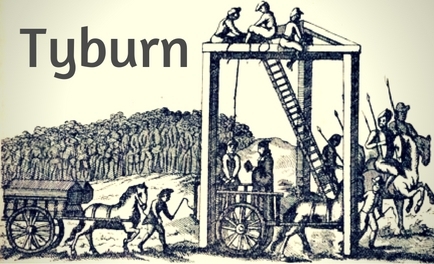 And for the offense confessed by Culpeper and Dereham, they were put to death at Tyburn, the tenth day of December (1541). And the twenty and two day of the same month (22 December), were arraigned at Westminster the Lord William Howard and his wife, which Lord William was uncle to the queen, Katherine Tilney which was of council of her having to do with Dereham, Elizabeth Tilney (Katherine’s grandmother), Joan Bulmer, Alice (Wilkes) Restwold, the queen’s women, and Edward Waldegrave and William Ashby, and William Damport gentlemen and servants to the old Duchess of Norfolk, and Margaret Bennet a butter wife, all indicted of misprison, for counselling the evil demeanor of the queen, to the slander of the king, and his succession: all they confessed it and had judgement to perpetual prison, and to lose their goods, and the profit of their lands during their lives: howbeit shortly after, diverse of them were delivered by the King’s pardon. Definition of “misprison”: It is committed by someone who knows a treason is being or is about to be committed but does not report it to a proper authority. William Ashby was a servant of the dowager Duchess of Norfolk, Agnes Tilney. He revealed how Agnes had searched Dereham’s coffers (box/chest) and removed all his papers. He said she would ‘peruse them at her leisure, without suffering any person to be present’. He also stated that she then declared that ‘she meant not any of these things to come to revelation‘. Ashby said that Agnes had been ‘in the greatest far‘ that her son William Howard would learn from her servants of the familiarity between Katherine Howard and Francis Dereham. Eventually, Ashby informed the Duke of Norfolk that the dowager Duchess had done the above. The image Ashby presented was of a very frightned old lady who had a heavy conscience and who was most certainly guilty of that same crime – that she knew of the relationship between Katherine and Dereham. The sixteenth day of January (1542) the Parliament began, in the which the Lords and Commons assented, to desire of the King certain petitions. First, that he would not vex himself, with the Queen’s offense, and that she and the Lady Rochford, might be attained by Parliament. Also, that Agnes Duchess of Norfolk, and Katherine Countess of Bridgewater her daughter, which were for counselling the said offense committed to the Tower, indicted of misprision, and the Lord William and other, arrainged of the same, might be likewise attained. Also that whosoever had spoken or done any act, in the detestation of her abominable living should be pardoned. To the which petitions the king granted, saying, that he thanked the Commons, that they took his sorrow to be theirs. Whereupon the Queen and the Lady Rochford, were attained by both the houses. And on Saturday being the eleven day of February (1542), the King sent his royal assent, by his great Seal: and then all the Lords were in their robes and the Commons house called up, and there the act read, and his assent declared. And so on the thirteenth day, these two ladies were beheaded on the green, within the Tower, with an ax, and confessed their offenses, and died repentant. I hate the way Henry treated people. When I read about these things, I find it difficult to put myself in a mindset of the time, judging it now it is all so wrong on many levels. It wasn’t just Henry everybody was cruel and used power wrongly. If they knew how we felt now they wouldn’t believe it.. I always think it was Devine retribution the Tudors died out with Elizabeth. I’m frequently compelled to admonish my students to avoid judging our predecessors through contemporary eyes. 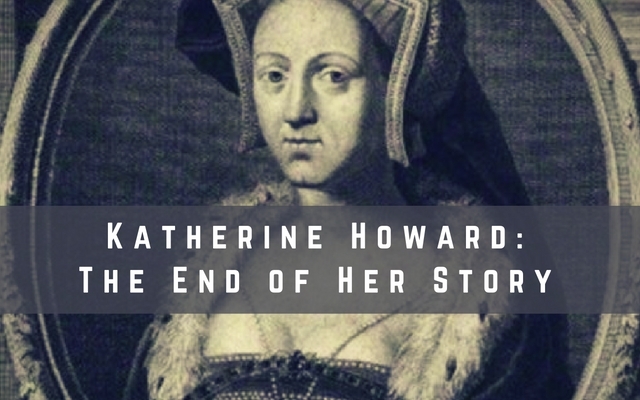 I make no particular defense of Henry VIII, but it’s important to understand that Katherine Howard was guilty of much more than mere adultery. She was queen, a potential bearer of Henry’s children, possibly a successor to the crown. As such, an adulterous queen was a grave threat to the line of success and, thus, the welfare and good order of the realm. Her actions were particularly egregious and, by default, so were those who engaged with or supported her. Again, I’m offering no particular defense for Henry, but many actions, for which we judge him harshly, were the order of the day, however brutal they may appear today. I agree wholeheartedly. When we start to judge those that went before us with brutality and unfairness I often wonder how our times will be judged hundreds of years in our futures. 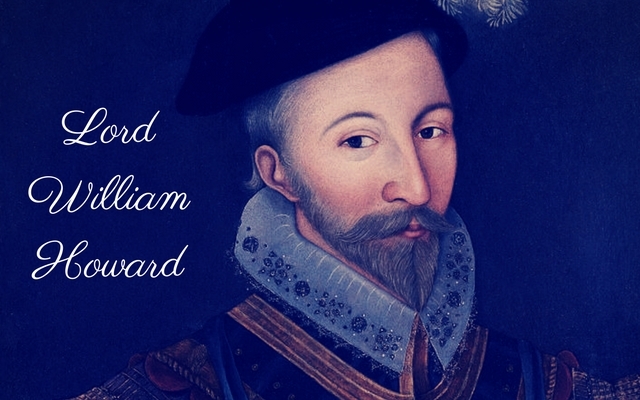 Died out with Elizabeth I is right. The “Yorks” , the little princes should have been the heirs or Edward or Margaret Plantagenet/Pole. . Just deserves for Henry’s horrible bloody reign. His desperate seed ceased to be. Well said. But I still feel sorry for the poor, dumb, pretty little girl. She was used. The one thing that drives me crazy is the general hypocrisy of it all. I know it was just the time period but I find it ridiculous that they killed women for adultery while men were welcome to have mistresses and cheat.